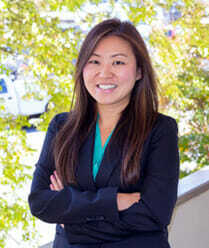 EXPERIENCED TEAM OF PROFESSIONALS AT BLEVINS & HONG, P.C. How can a Marietta bankruptcy attorney help me? More and more families throughout the U.S. are finding it difficult to keep up with mortgage payments, are falling behind on credit card bills or are slipping deeper into debt. Those who have found themselves in this worrying situation often do not know where to turn for assistance or do not know which steps to take in order to get their lives back on track. For this reason, the team at Blevins & Hong, P.C. is dedicated to helping families and individuals throughout Marietta. You can have peace of mind knowing that a strong legal representative or Marietta bankruptcy attorney is on your side fighting to help you get through this difficult time in your life. We even offer a free case evaluation so that you can tell us the details of your case completely free of charge. Should you hire a Marietta bankruptcy attorney? 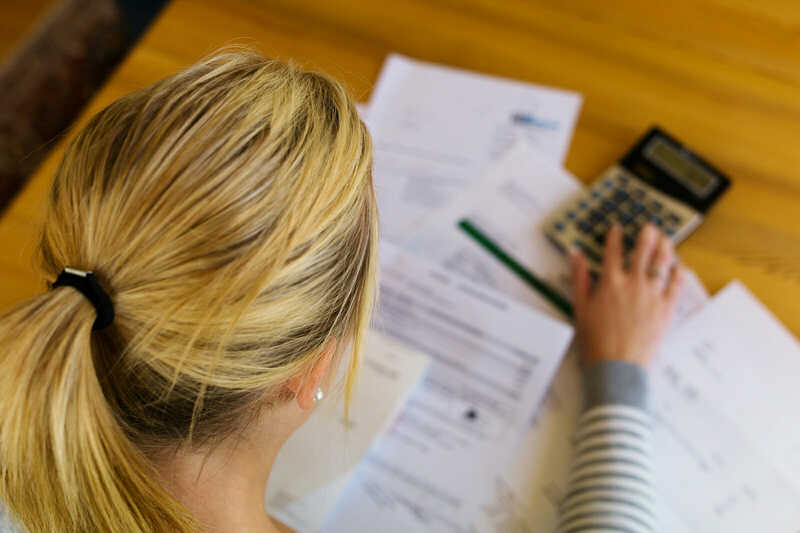 Before making a decision, an individual should understand that bankruptcy is a financial tool designed to help individuals and families trapped by debt. When filing for bankruptcy, most people choose between two primary options: Chapter 7 and Chapter 13. However, not everyone is able to qualify for these types of bankruptcies, so it could be in your best interests to examine an alternative which may better suit your situation. Before you file for bankruptcy, you should seek to determine if there is a bankruptcy alternative for your situation and specific needs. A loan modification, debt settlement, debt consolidation, short sale, or deed in lieu could help you and your family and get your lives back on track without needing to file for bankruptcy. When it comes to bankruptcy, there are probably many questions going through your mind. For example, you may wonder how to file, how it could help you, and what the repercussions could be. Therefore, our team has put together helpful material regarding the most frequently asked bankruptcy questions. From how to get rid of your debt to how it could affect your credit score, please take the time to look through these questions to get the answers you need. When considering bankruptcy, one thing families have to evaluate is whether it will benefit their specific situation. Every case is different, and the benefits will vary from case to case. However, one benefit which is the same across the board is the elimination of debt. Talk to an attorney from the team if you want to discover exactly how this tool could help you. 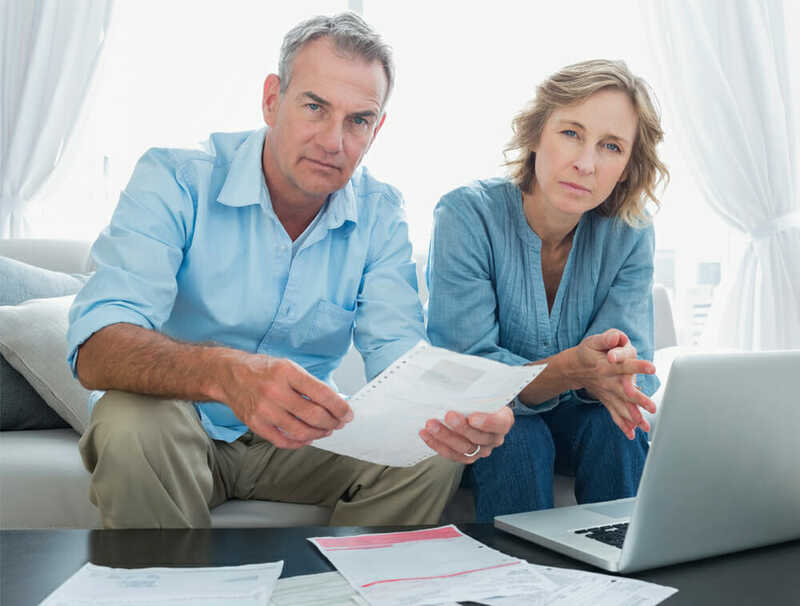 When trying to determine if bankruptcy is right for you, you will first need to evaluate which type of bankruptcy applies to your specific situation. For example, many people opt for Chapter 7 bankruptcy, also known as liquidation bankruptcy, because it essentially eliminates credit card debt, medical bills, and more. Moreover, this type of bankruptcy leads to the “clean slate” many people think of after bankruptcy. What is Chapter 13 bankruptcy, and how does it differ from Chapter 7 bankruptcy? First of all, in order to qualify for Chapter 7 bankruptcy, the individual must first pass the means test. However, if their income is too high, they may be able to qualify under Chapter 13 bankruptcy. Bankruptcy under this chapter provides a three to five year time frame in which they can repay their debts. Additionally, it puts a stay on all legal actions from collections agencies. When people find themselves in difficult financial situations, one of the biggest concerns is the threat of foreclosure. Being forced out of your home is one of the most traumatizing events a family could endure. Moreover, foreclosure can leave a long-lasting negative mark on your credit score. Therefore, to avoid foreclosure, our firm can help you fight it through a short sale, deed in lieu, or loan modification. What happens after filing for bankruptcy? Can long-lasting repercussions affect your credit rating? Many people do not realize that the effect bankruptcy has on your credit score is not permanent. Also, the peace of mind after eliminating debt is priceless. Some still fear the stigma which may result from filing for bankruptcy. However, the good far outweighs the bad. What is a loan modification? This alternative to bankruptcy allows the individual to repay their debt under different terms. Monthly payments can be reworked to better suit your budget, and interests rates can also be lowered. Moreover, late fees can be waived,and the overall amount owed may even be reduced. Truly there are many benefits to a loan modification. Nevertheless, there are organizations that promise impressive results but fail to deliver on their claims. What should you do when you are unable to keep up with mortgage payments? Is there a better way to avoid foreclosure than filing for bankruptcy? Both short sales and deeds in lieu of foreclosure are ways to allow people to avoid foreclosure. Short sales involves selling the home or property and handing over the proceeds of the home to the bank, even though it is less than the amount owed. However, a deed in lieu means that the individual signs over the deed of their home to the bank voluntarily rather than being foreclosed on. When an individual falls behind on their mortgage repayments, one of the repercussions they could be facing is wage garnishment. This means that your ability to budget and start to work on repaying your bills is taken out of your hands. In some situations, filing for bankruptcy is the only way that this garnishment can be stopped. However, to determine whether this is the best step for you, you should get in touch with the legal team. Debt settlement is a good option for many people, especially those who don’t meet the criteria for bankruptcy. In fact, it can actually help your credit, making it a great alternative to bankruptcy for some. Still, it isn’t a good fit for everyone. A bankruptcy attorney can help you weigh the options. Once you have decided to file for bankruptcy, an automatic stay can grant you immediate protection from creditors. Therefore, you protect your wages and property. Also, you avoid eviction by having a bankruptcy attorney file an automatic stay. Don’t let creditors continue to harass you or risk losing assets. Rather, call a bankruptcy attorney right away. When you fall behind on vehicle payments or other secured loans (loans where collateral is involved) you run the risk of having the item in question repossessed. Therefore, it is important to understand how repossession works in Georgia and what options you have to avoid having something repossessed. Nevertheless, if you have already had something repossessed, it is imperative that you seek help immediately — before it is too late. People have many misconceptions about bankruptcy. Thus, if you are considering bankruptcy but are afraid to, your fear may be the result of a bankruptcy myth. Make sure to get all the facts from a bankruptcy attorney before making the decision to file or not to file. A means test helps determine your eligibility for bankruptcy. Most people think of Chapter 7 bankruptcy when they are considering bankruptcy. Hence, understanding how the means test works for Chapter 7 is important to making an educated decision. There are really three phases to the means test: examining income, living expenses, and disposable income. Being overwhelmed with credit card debt can affect your quality of life and even your health. Even though you may feel you have no way out, you actually do have several options. Some options involve bankruptcy, but there are alternatives to bankruptcy that may also bring you relief. Every situation is different, so talking to a qualified bankruptcy attorney is always a good ides. Creditors must play by the rules when collecting on debts. It is important to know your rights and make sure you are being treated fairly. However, the best solution for stopping creditor harassment is handling the situation, be that by filing for bankruptcy or seeking a bankruptcy alternative with the help of an attorney. Any debt can be troubling, but past-due taxes can be some of the worst. Failing to pay taxes can be very costly and result in liens or levies. If you have accrued tax debt, you should have an attorney speak to the IRS on your behalf. The attorneys at Blevins & Hong, P.C. will be able to help you find a resolution and protect your rights and interests. If you are considering bankruptcy, there are many factors to take into consideration, including the amount of debt, the kind of debt, your income, and others. Filing for bankruptcy is not a decision to be made lightly, but after careful thought and planning. 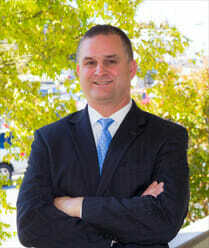 The Marietta bankruptcy attorney at Blevins & Hong, P.C. can help you evaluate your circumstances and make a decision. Are you considering filing for bankruptcy? One of the first decisions you will have to make is in regards to which legal representative to hire. Who you choose to represent you could make all the difference in the outcome of your case. For a free case evaluation, please contact a Marietta bankruptcy attorney at Blevins & Hong, P.C. today.